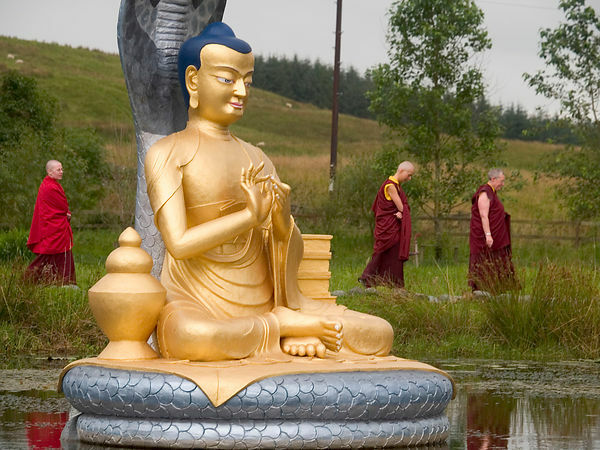 Eskdalemuir, Dumfries and Galloway, Scotland, United Kingdom. 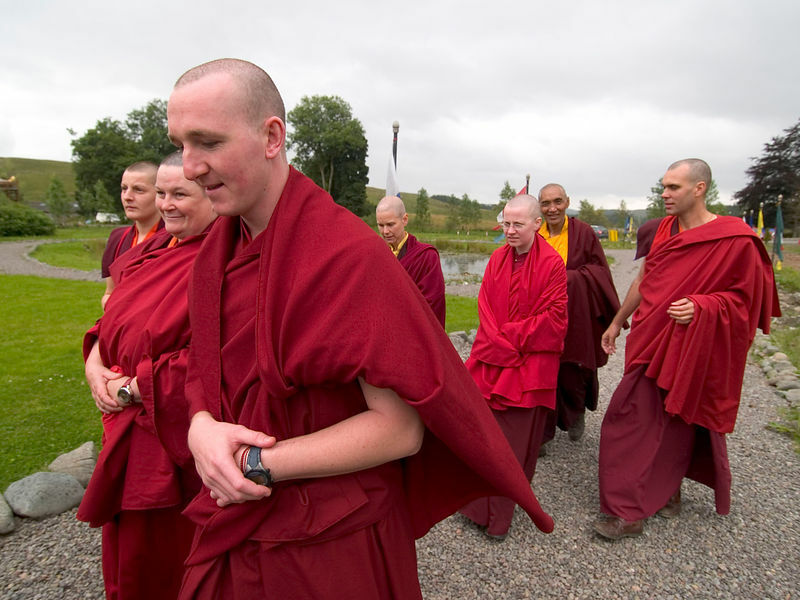 Saturday 27 August 2005..Copyright © David Gordon 2005.Monks and nuns at Samye Ling Monastery in the Scottish Borders. 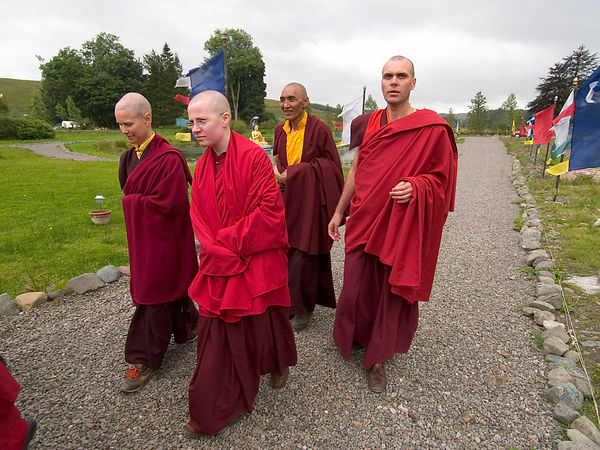 The centre follows the Kagyu tradition of Tibetan Buddhism.Copyright © David Gordon phone: +44 (0)141 423 9800 fax: +44 (0)141 433 9199 email: mail@davidgordon.co.uk NUJ recommended terms & conditions apply. Moral rights asserted under Copyright Designs & Patents Act 1988. Full terms and conditions for digital and traditional use available on request. Credit is required. No part of this photo to be stored, reproduced, manipulated or transmitted by any means without permission.